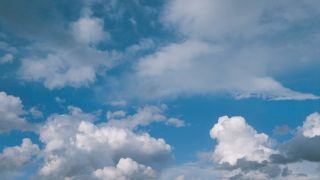 A significant number of small and midsized businesses are unsure about cloud services or think they are only for large companies, according to research by Opinion Matters for internet security company AVG Technologies. It shows that 31% of the companies questioned in the UK had heard about cloud services but did not understand them, while 22% thought they were only for large firms. Only 21% said they had had deployed some form of cloud service and the same percentage were considering adopting it in the next 12 months. 52% said they deal with their IT themselves. Other factors standing in the way of using cloud services were cost, cited by 23%, lack of trust (17%) and a belief that the services were too complicated (10%). Mike Foreman, general manager for SMBs at AVG, told TRBC that companies need to be more ready to take up cloud services. "They're probably using it without knowing it, from simple things like booking a train ticket, filing an online tax return or email. But the really big advantage would be that they could have the type of thing that was only available to a big enterprise, such as mobility, working outside the fixed office network. "To do it before you needed lots of firewall and VPN equipment to punch a hole through your office network. Cloud has ripped all this apart; small businesses now have all that functionality and the ability to work on the go. "The applications they want to run are now hosted in the cloud." The survey covered 505 companies with 100 employees or less in the UK. AVG has just released version 2.1 of its CloudCare security platform, which includes anti-virus and content filtering managed through a console run on the cloud. New features include more refined filtering, a check-in box to remove other security systems from a computer, remote virus vault management and a personalised component installation.